DDC utilizes the latest technology in image processing in order to offer products and services for real-time embedded video and digital image processing, analytics, and analysis. We perform detail enhancement, extraction, stabilization, camera interfacing, tracking, analytics and much more. View some examples of our before and after images below to see some of the amazing effects that DDC can achieve with your video. 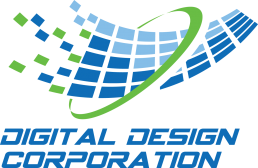 Digital Design Corporation (DDC) provides a variety of consulting services for expert chip, board, software, algorithm development, and system architecture and design; as well as providing prototype and production services. Our deep project management expertise with industry-leading technology firms leverages our process-controlled design and manufacturing processes, and wide base of Intellectual Property (IP) to produce high quality results while reducing time and cost. DDC offers world-class electronic products for video and data recording, and video-processing / image-enhancement. We also offer products resulting from our extensive networking expertise, notably in Audio Video Bridging and Time Sensitive Networking (AVB/TSN) and other mass notification VoIP (Voice over IP) products, consisting of IP speakers, IP clocks/displays, and other IP endpoints. DDC has an abundance of world-class Intellectual Property (IP) that can be used to augment any customer project, improve the result, and help speed up the time to completion. These cores are valuable assets to support your video, imaging, networking, or other requirements. DDC also welcomes the opportunity to develop your ideas or IP. We have a rigorous source-controlled design process to help you do so. At DDC, we have served the military/aerospace, medical, automotive/vehicular/ADAS, and industrial equipment industries for many years. Our innovative technology, products and services solve the requirements unique to each industry. DDC digital design services are best-in-class and include architecture, design and implementation for chips, associated circuits/PCBs, software and systems using the latest technology in image processing. We specialize in cutting edge embedded electronics. 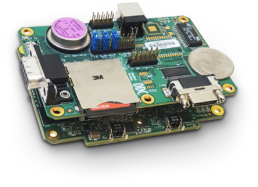 Our technology is generally hardware accelerated with FPGAs and massively parallel, and we specialize in implementing algorithms that enable higher performance, higher quality, and lower cost for advanced image processing. When a project is important, cutting edge, novel, or complex… companies turn to DDC. DDC offers Consulting Services, in addition to its standard and custom products, and will bid whole projects, whole chips, whole boards, or will just consult as members of a project team. DDC draws upon its deep inventory of intellectual property and image processing hardware in order to leverage these capabilities and incorporate them into and enhance customers’ product designs. We have a very strong and deep portfolio of Intellectual Property – tested in chips we have designed and implemented for scores of projects over the years. These cores can be leveraged for our customer’s performance needs and provides a shortcut in development time and cost. Our advanced image processing for video is second to none – we can operate in very high bandwidths with sustainability. In addition, we are expert in projects with high complexity while also specializing in small SWaP (Size, Weight and Power. DDC has deep experience in video and data recording, processing and transport. 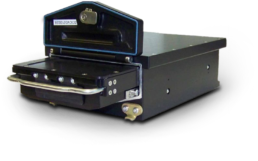 Our VAADR (Video and Advanced Data Recorder) products are used in many of the most highly technical and complex applications, such as military jets, drones (UAVs), and other vehicles. Some of our distinct competencies include our ability to record and process multiple channels of high bandwidth, high dynamic range raw video, synchronized with metadata, to small footprint high-density drives. Video and image transport capabilities are just as robust at DDC. We can encode video with a variety of codecs, such as MPEG2, MJPEG, and h,264, and transport video/audio/data over networks with a variety of protocols, including AVB/TSN and VoIP, etc.